Australian genre films are a rare breed. Particularly those that secure a wide international release on the back of critical buzz emanating from the likes of Sundance and other festivals. 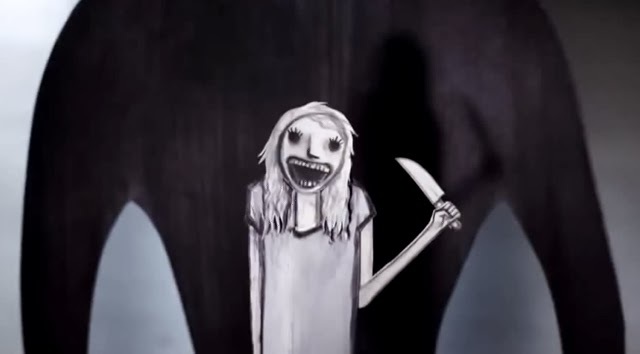 For those reasons alone, The Babadook has already achieved much more than many of the Australian made horror films that have preceded it. Of course, the ultimate test will be bums on seats and there is no reason to think that the film won’t muster strong audience support. 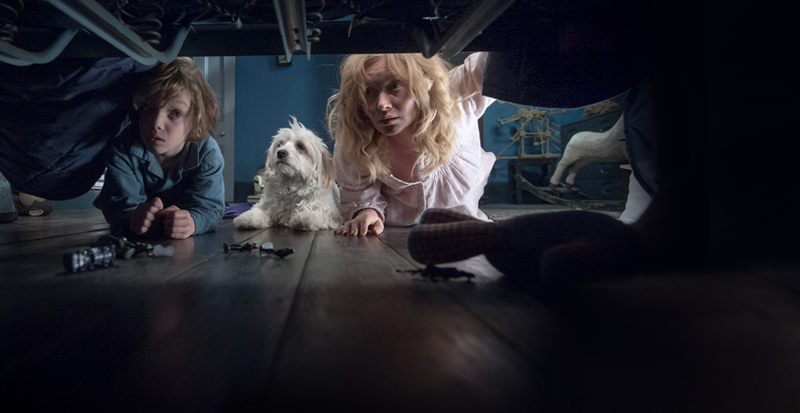 Shot in Adelaide and funded partly through Kickstarter contributions, The Babadook is the first feature for director Jennifer Kent, who also wrote the screenplay derived from her own short film. There are no big frights here and it could even be argued that the film is as much a psychological thriller as it is a horror, but the story draws you in and piques your curiosity in a way that has you constantly trying to guess what will happen next. There is much ambiguity in the story and the characters that inhabit it, but there is sufficient spookiness to satisfy those who like their films dark and twisted. Essie Davis, perhaps best known for her television work in The Slap and Miss Fisher’s Murder Mysteries, plays Amelia, the fraught mother of six-year-old Samuel, a child who is driving her to the point of despair with his demanding behaviour. Amelia’s husband Oskar (Benjamin Winspear) was killed driving her to the hospital on the night Samuel was born and it this tragic turn of events that has defined the mother-son relationship ever since. You see, despite her best efforts to outwardly hide such feelings and be the mother she is expected to be – publicly defending Samuel’s petulance at every turn – Amelia really doesn’t her like her son all that much and it is this tension that serves as the catalyst for what follows. Juggling the demands of Samuel with her work in an aged care facility, Amelia’s state of mind starts to deteriorate to the point where she finds it difficult to separate her reality from the hallucinations that haunt her. When a mysterious children’s book titled Mister Babadook seemingly unleashes a sinister presence in the house, things become decidedly disturbing. Using the picture book as the source of the terror enables the use of simplistic, yet effective, design in the creation of an almost cartoonish presence that still manages to exude the requisite level of menace. Whilst the film does rely on horror clichés to a certain extent – from the suitably sinister looking house with the obligatory out-of-bounds basement, levitation, creaking floorboards, shapes in the shadows and people being flung around the room by forces unseen – it certainly shies away from the gore and bloodshed on which so many other movies rely to compensate for their shortcomings in other areas. Similarly, most of the minor roles consist of stereotyped characters – the disbelieving police, the angry school teacher, an overbearing boss, the nasty sister – all of which serve to isolate Amelia even more in her state of anguish. However, it is this sense of isolation, combined with the uncertainty over the nature of the threat, which causes so much of the tension. Is there really a supernatural presence or is Amelia simply in a state of psychosis? Ultimately, Kent leaves it up to the audience to decide. There are other characters introduced who it seems might play a significant role – such as elderly neighbour Mrs Roach (Barbara West) and co-worker Robbie (Daniel Henshall) – however their significance in the story amounts to very little. Davis endures a lot as Amelia, a pale, exhausted figure who unravels in the most extreme way. In his first ever screen role, Noah Wiseman is equal parts cutesy and creepy as Samuel, alternating between volatile and affectionate on a whim, constructing all manner of weapons to ward off the monsters he believes are lurking under his bed. Kent draws upon classic imagery from the likes of Georges Melies to provide a visual representation of Amelia’s state of mind as she spends night after night unable to sleep, staring blankly at the television. 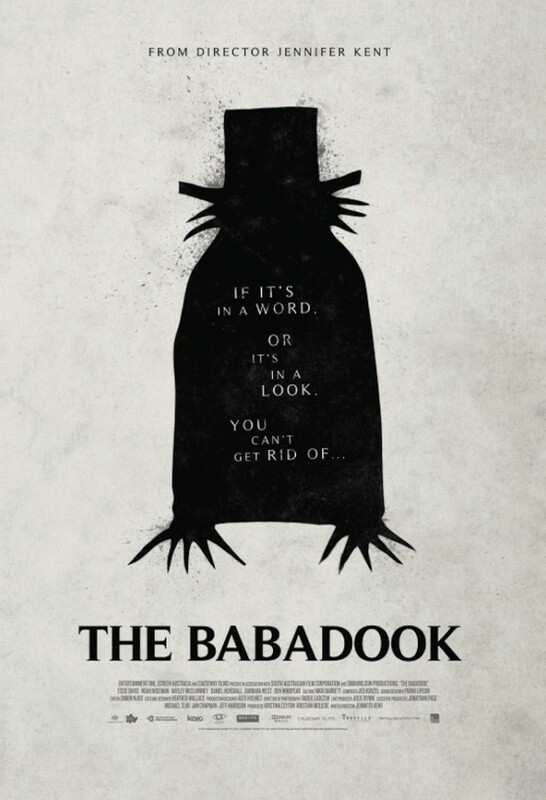 On many levels, The Babadook is a success and should appeal to horror aficionados as well as those more interested in psychological drama. This is a more than satisfactory addition to the horror oeuvre and is proof positive that Australia can do genre just as well as anybody else.